NOTE: Complete 2014 Economic Impact Study accompanies this release. Martinsville, Ind. – May 1-7 has been designated National Travel & Tourism Week, and here in Morgan County, we are pleased to say that our local tourism industry continues to grow. We invite visitors and locals alike to discover the hidden gems throughout Morgan County during this week-long celebration of travel and tourism – and beyond! Nationally, tourism is one of the largest industries in the U.S., generating over $2 trillion each year and employing 15 million Americans. One in every nine American jobs is tourism-related. Tourism is also an important part of the economy throughout the state of Indiana, where more than 72 million visitors spend more than $10.3 billion each year. The sixth largest industry in the state, tourism accounts for more than 140,000 jobs across Indiana, many of them in small businesses. In fact, if travelers suddenly stopped visiting Indiana altogether, each household in the state would have to pay nearly $500 in additional taxes to make up the difference in state and local tax revenues. Here in Morgan County, visitors spend about $23 million each year and support more than 430 local jobs and $9.3 million in total wages and proprietor income. The local tourism industry grew at a rate of 5% between 2013 and 2014, the most recent data available. That makes Morgan County #6 out of all 92 Indiana counties in tourism spending growth! Tourism is currently the 10th largest industry in Morgan County (not including government). So, we’re welcoming more visitors than ever before to beautiful Morgan County, but what are they doing while they’re here? Well, the research shows that the largest share of tourism spending in the county (42% of all visitor expenditures) goes to food and beverage purchases. Retail expenditures are next, with 28% of visitor spending going to local shopping, followed by 14% of spending on transportation, 9% on lodging and 7% on recreation and entertainment. Both food and beverage and retail spending by visitors are higher for Morgan County than they are statewide, while spending on area lodging and recreation and entertainment are both below the state average. It is important to note, however, that many of the recreation opportunities in our area that are popular with visitors are available at no charge, so lower spending on recreation and entertainment does not necessarily mean that visitors are not enjoying those opportunities while they’re here. Visit Morgan County seeks to capitalize on the insights gleaned from this research data to further promote the area’s offerings to visitors. For example, because our food and beverage spending is above average for the state, Visit Morgan County will continue to promote those areas through individual and regional promotions. 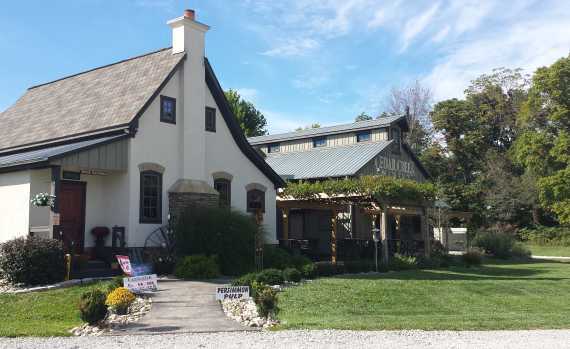 The Rural Routes to Main Street Cultural Trail, for example, is a partnership with neighboring Visit Hendricks County that highlights local culture, retail and dining sites. 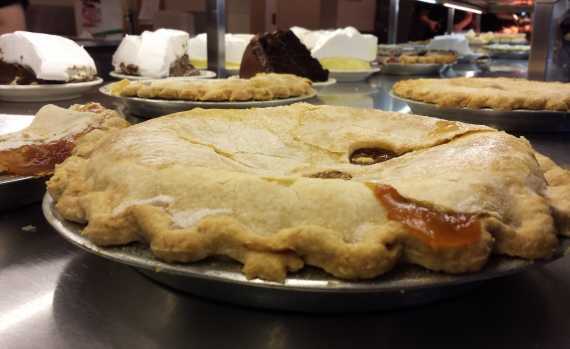 Visit Morgan County has also recently joined the Indiana Foodways Alliance, a statewide organization that promotes several culinary-themed trails throughout the state. Watch for an upcoming announcement about select Morgan County restaurants that will be featured on Indiana Foodways Alliance trails! Visit Morgan County invites local residents to celebrate National Tourism Week by discovering and celebrating the many hidden gems throughout our county that delight visitors. Log on to visitmorgancountyin.com for upcoming event information and other great ideas for things to do right here in Morgan County. Watch our Morgan County Moments blog for posts that highlight area events and attractions and follow Visit Morgan County on Facebook, Twitter and Instagram to stay up to date on what’s happening around the county. Residents are also invited to stop by the Visitors Center at 109 E. Morgan Street during business hours, where they’ll find information on local attractions as well as information about attractions in neighboring counties and across the state.